Bea has grown up part of a large, boisterous Kent family. But she hasn't heard from her soldier sweetheart in months and her mother is controlling her life. She needs to take charge of her future. Edie inhabits a world of wealth and privilege, but knows only too well that money can't buy happiness. She wants to be like Winston Churchill's daughter, Mary, to make a difference. Joan can't remember anything of her past or her family, and her home has been bombed in the Blitz. Desperate, she needs a refuge. 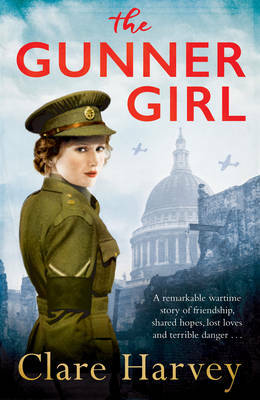 Each one is a Gunner Girl: three very different women, one remarkable wartime friendship of shared hopes, lost loves and terrible danger.